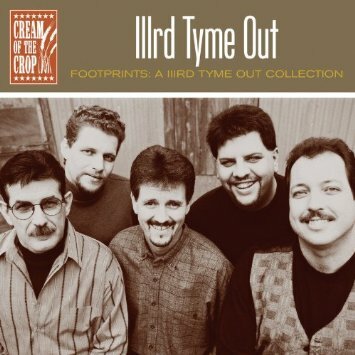 IIIrd Tyme Out is an excellent bluegrass group and they were very successful in the 90s. They are from Cummins, GA led by lead singer and guitarist Russell Moore. Moore was a member of Doyle Lawson & Quicksilver in the 80s. He left in 1990 and IIIrd Tyme Out was formed in 1991. Other Members were bassist Ray Deaton also from Quicksilver, fiddler Mike Hartgrove from The Bluegrass Cardinals and Quicksilver, mandolinist Wayne Benson who joined in 1994 and banjo player Steve Dilling from The Bass Mountain Boys. He also joined in 1994. After a couple of albums for Rebel Records, IIIrd Tyme Out signed with Rounder Records. Raining In L.A. is from the 1996 album Letter From Home which was their first album for Rounder. The song was written by Rebel Records session musician Wesley Golding. IIIrd Tyme Out was International Bluegrass Music Association Vocal Group of the Year from 1994 to 2000. Bluegrass fans will enjoy the harmonies. This comp is a good intro to their Rounder recordings. IIIrd Tyme Out left Rounder in 2001 and have since recorded for Chateau and Rural Rhythm. Moore still leads them but other than Benson, it's an all new band. Their latest CD Bluegrassed: Timeless Hits From The Past was sold at Cracker Barrel stores. And of course they still tour. Bluegrass fans should check them out. Here's IIIrd Tyme Out performing Raining In L.A. on the PBS series Jubilee 2013.